RAdm R Swaminathan, NM has taken over duties of Assistant Chief of Materiel (Mordernisation). Commissioned in 1987, the Admiral is a post graduate from IIT Kharagpur. In a career spanning more than 30 years, he has worked on board the Aircraft Carrier, INS Viraat, for more than 9 years in various capacities. 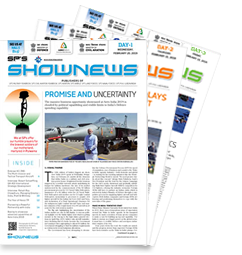 He was also involved in the acquisition of Aircraft Carrier Vikramaditya, as Warship Production Superintendent in Russia and as Principal Director Aircraft Carrier Projects in Delhi. 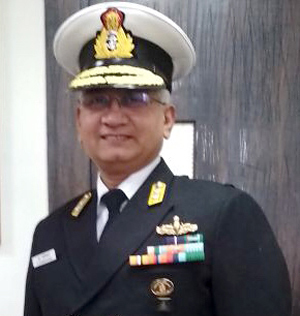 RAdm R Swaminathan, has held many important assignments including Fleet Engineer Officer (Western Fleet), Director of Personnel and General Manager (Refit) Naval Dockyard, Mumbai. 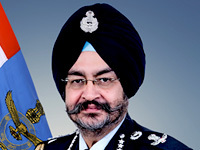 He is an alumnus of Defence Services Staff College and the National Defence College. The officer was Principal Director Ship Production before assuming the appointment of ACOM (Modernisation) on promotion to Flag Rank.